The CSSP community is maintained by the CSSP team and is open to both members and non-members. 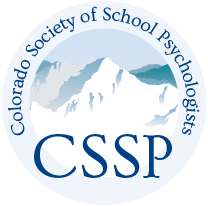 We created the community to bring together Colorado School Psychologists in a way that’s focused, valuable, and––most importantly––all our own. Our mission is to create an online Community of Practice (CoP) where we have collaborative dialogue about issues pertaining to school psychology. Connect with other professionals who share your interests, who live near you, who do the same things, or who care about the same topics. Make better, more well-informed decisions about your practice. Swap stories, experiences, and ideas around our shared mission. Don’t Spam or Self-Promote. While we all love a little self-promotion (this is still the Internet after all! ), for everyone to get the most out of the community, please don’t post direct links to your products or services. Affiliate links are also not allowed. Give More Than You Take. What makes a community amazing is when members are more focused on helping each other, than on helping themselves. Be as helpful as possible and everyone benefits! Share Stories and Experiences, Not Advice. Nothing builds a beautiful conversation faster than sharing your stories and experiences, and nothing shuts one down faster than just posting advice. If you’ve written the words, “you should…” hold up. On the other hand, if you find yourself writing, “In my experience…” keep going! No "links only" posts. Please don't post with just a link to something, no context, and without a focus on starting a conversation (explain why you’re sharing it and what members can learn). Be Kind. There are plenty of places you can spend your time today where trolling is going to get you a lot more attention. If you’re tempted to troll here, head on over to those platforms first and get it out of your system.